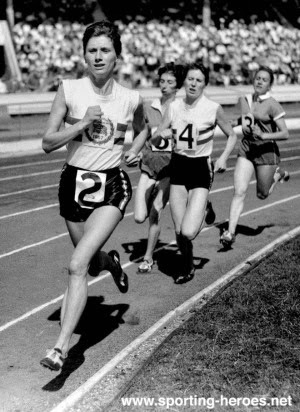 Few could name the first woman to go under five minutes for the mile, and fewer still may recall that the event happened in the same month that Sir Roger Bannister broke the four minute mile for the first time. 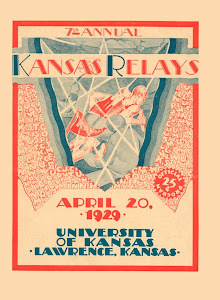 Women's athletics/track and field was a sidebar to the men's version of the sport. 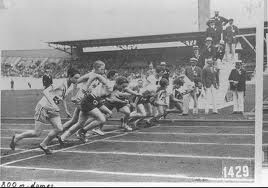 Because a few women collapsed after the 800 meters in the 1928 Olympics in Antwerp, the event was discontinued, and 200 meters was the longest event allowed to women until 1960. Some thought that women might lose their capacity to reproduce if their uteruses got bounced around too much in training and racing. 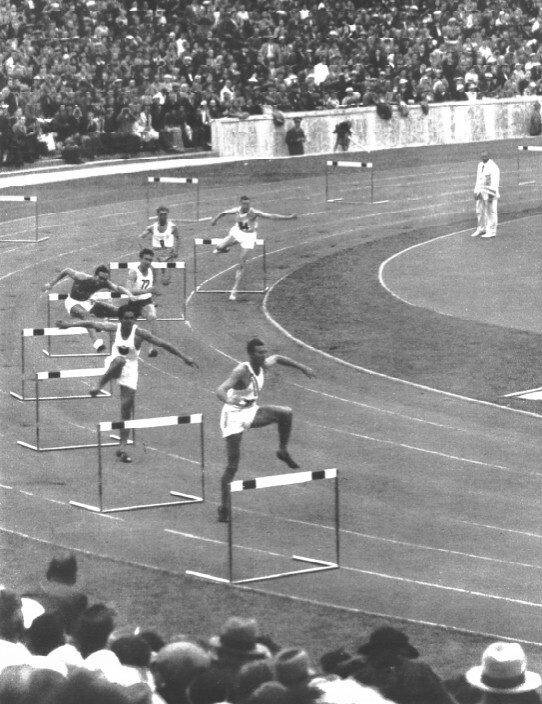 The response from women in those days of course could have been , "Then why let men run the high hurdles?" But getting back to the purpose of this post. 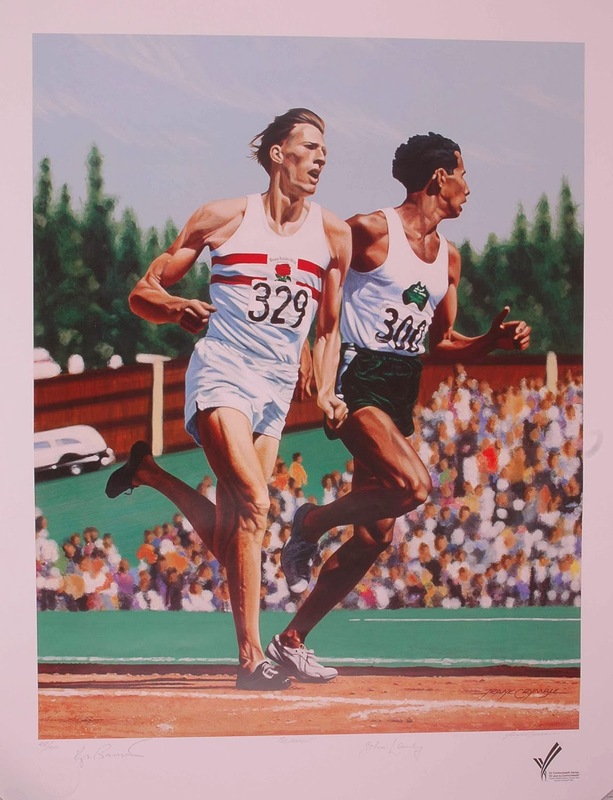 The answers to our interrogatories are (one) , Diane Leather was first woman to break the five minute barrier, and (two ) she did it 23 days after Sir Roger got his record. So far as I know, Diane is not yet titled on her side of the Atlantic. She would go on to lower the record to 4:45 which stood for another seven years. If you look at the videos below of her running, it is easy to see that she was a grand talent who would have fared well in today's international competitions. She also ran a 2:06 880 during her career, not to mention doing it on cinders. Her form is superb. And she was not being paced in her record attempt. The only question that remains is "Is a 5 minute mile for women equivalent to a 4 minute mile for men?" My response is "As a psychological barrier, yes, as a physical barrier, no." In so much as she was able to bring the record down another 15 seconds, it says that physically it was an easier record to break. However few women had the opportunity to attempt that distance, so the mentality of officialdom was probably a greater barrier to women than the physical barrier. 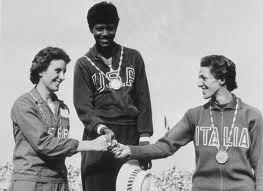 If we look at the progression of the mile record,(and we note that the IAAF only started recording world records for women in the mile in 1967), women appear to have made a significantly greater improvement in the mile world best or world record than men since 1954. The current women's record is approximately 4:12 , a 16% reduction in the overall time from 5:00. The current men's record is 3:43.13 a 7% reduction in the overall time from 4:00. If we were to allow that a 4:45 mile for women is closer to a 4:00 mile for men, the improvement from 4:45 to 4:12 is still an 11% improvement. The engineers and mathematicians may want to review my work to make this comparison more accurate. I'm open to their commentaries. How would you determine a true equivalent of a 4:00 minute mile for women? I just don't feel like putting up the graphs right now. This link shows Diane winning the British XC championships for the third straight year in 1955 as well as Gordon Pirie winning his race. Note the course conditions. This information was derived from the following article that appeared in "The Guardian". Several comments/observations have come in since posting this article. (1)I am not going to try the math bit but I did see her run a record mile later on. Cant remember the details but it would have been at White City in the 50s. I’m not a mathematician, but you might look at 4 min is the same to 5 min as 2:03 is to 2:17 and find out that the further women run the closer they get to male performances. (4) Kazankina's best of 3:52.47 equates to approximately 4:11. (But, was she clean?) Masterkova's mark is 4:12.56. Simplified, yes, but it appears to be a fairly good conversion table. The IAAF table for women relates 4:12.57 to 3:54.69. 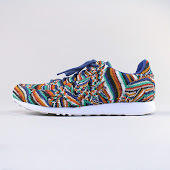 On the other hand, for men the 4:12.57 relates to 3:54.08. (5) She really looks smooth. Mercier table to compare men's and women's efforts. Just plug in the numbers and get an equivalent. In honor of this Memorial Day 2014, we are reposting this earlier piece from last year at this time. Thanks to all the veterans who served, whatever side they were on. We started this posting two weeks ago with a remembrance of Cliff Cushman. After some research we've discovered more names to remember and additionally a wonderful personal tribute to Cliff from one of his friends and teammates. The following passage was written by Bob Covey one of Cliff's high school and college teammates at Ames, Iowa HS and University of Kansas. I found it in a memoire for the 1957 Ames HS class of 1957 reunion. ed. 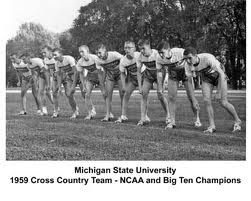 As we played our first football games in the fall of 1956, athletes of the world competed in the summer Olympics in Melbourne, Australia. 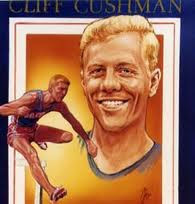 Just four years later, a former Little Cyclone athlete, Cliff Cushman, would run the 400-meter hurdles at the 1960 Rome Olympics placing second. 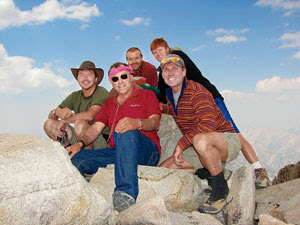 ...Cliff Cushman was a year ahead of our class but a close friend of many of us. As a sophomore in 1954, he was already an Eagle Scout as he won the State Meet mile run at Drake Stadium. 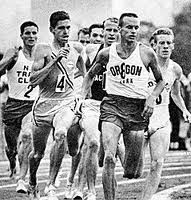 His winning time of 4:27.5 was the fastest mile ever recorded in the world by a fifteen-year old. That summer, Cliff moved with his family to Grand Forks, North Dakota. His father had been named a department chairman at the University of North Dakota. 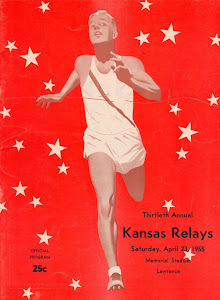 The Little Cyclones won the 1955 and 1956 Iowa State Outdoor Track Meets at the same time that Cliff single handedly won the North Dakota State Meets for Grand Forks Central High. He entered Kansas University and a year later Jack Stevens and I became two of his apartment mates. His career in track was amazing, a champion at all levels. After graduation from K.U., he followed his ROTC responsibilities and entered the Air Force. He trained to fly jet fighter/bombers. In the summer of 1966, he, his wife Carolyn, and infant son Colin stopped in Bakersfield to see me. At the time I lived in an apartment and as he sat and talked to me, I learned he was on his way to Los Angeles to be shipped out to Vietnam. I asked why he wasn't wearing a wristwatch and he responded, "I want time to stand still; I don't have a good feeling about going to Vietnam. He left for the war a few days later and on September 25, 1966, his plane was shot down over Vietnam by a surface-to-air-missile (SAM). He was "Missing In Action" (MIA) for seven years and then was officially listed as "Killed In Action" (KIA). He was one of the fifty-eight thousand American men and women who lost their lives in Vietnam. History has recorded that war as a shameful mistake for U.S. involvement. He was the only friend I lost in Vietnam. I have gone to see the Vietnam War Memorial in Washington D.C. many times and every time I find his name I cannot hold back the tears. 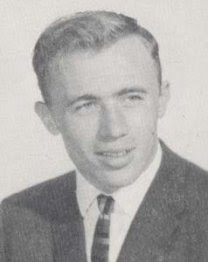 When Cliff was posthumously inducted into the Ames High Little Cyclone Hall of Fame, I came back for the induction ceremonies as did his widow, Carolyn, and son, Colin, then over thirty years old. Also in attendance were the widows of two of his coaches, my mother Mildred and Ada Easton of Kansas University. 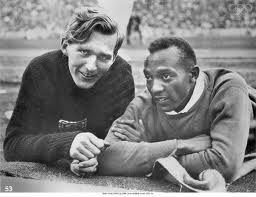 His KU teammate Billy Mills also attended and asked to speak. 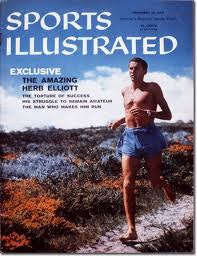 Mills told of how Cliff had inspired him to try again and again when he had so many disappointments. Mills was an orphaned Sioux Indian and we had entered KU and became friends. In 1957 I invited him to spend his first Thanksgiving as a KU freshman with my family in Ames. He later told me it was the first time he had spent a night in the home of a white man. 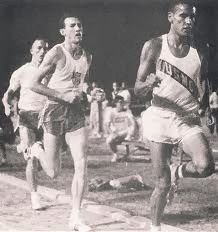 In 1964, Mills became the surprise winner of the Olympic Games 10,000 meters at Tokyo. 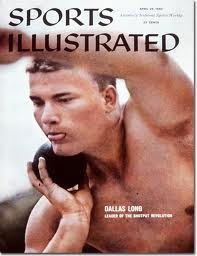 He still is the only American to have won that event in Olympic history. 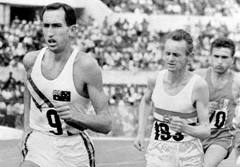 Ron Zinn's sixth-place in the 1964 Olympic 20 km. 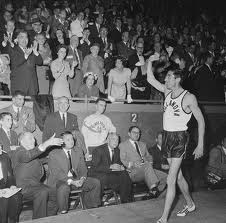 walk was one of the top performances in walking for an American at the Olympics. 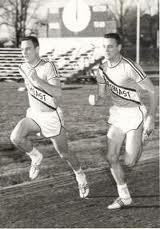 Zinn also won a bronze medal in the event at the 1963 Pan American Games. 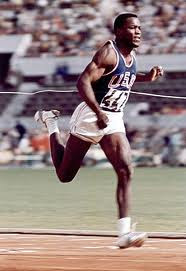 From 1960-64 he won 12 AAU walk titles over various distances. Zinn was a graduate of the US Military Academy and was sent to Vietnam late in 1964. In July 1965 he was presumed killed in a firefight near Saigon (Ho Chi Minh City), although for many years he was listed as MIA. 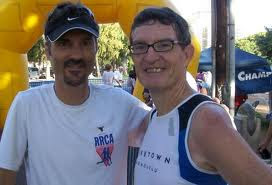 The USATF annually awards the Captain Ron Zinn Memorial Award to the top racewalker of the year. 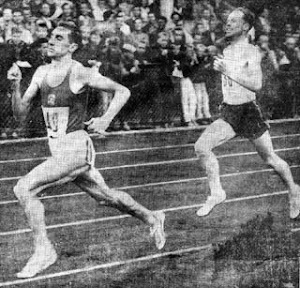 Personal Best: 20kmW – 1-32:43 (1964). http://www.virtualwall.org/dz/ZinnRL01a.htm This is the link to Ron's site on the Virtual Wall to honor soldiers who died in Viet Nam. There are testamonials and tributes from his comrades in arms and his family. 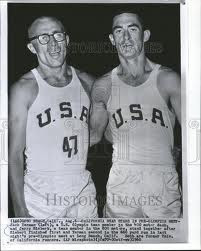 In an earlier post, we talked about Sam Stoller and Marty Glickman the two Jewish sprinters being taken off the American team and replaced by Foy Draper and Frank Wykoff two Gentiles after some back room politicing at the 1936 Olympics in Berlin, to please the local Nazi hosts. Irony, never far from the scene would rule the day when seven years later Foy Draper, then a U.S. Army Air Corps captain would lose his life in an ill-timed and badly executed battle against the Germans at Kasserine Pass in North Africa. 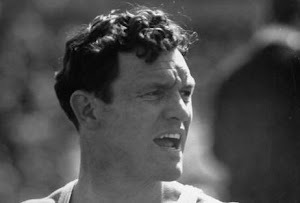 Foy Draper (November 26, 1911 – February 1, 1943) was an American athlete, winner of gold medal in 4x100 m relay at the 1936 Summer Olympics. 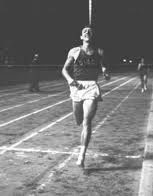 As a University of Southern California student, Foy Draper won the IC4A championships in 200 m in 1935. 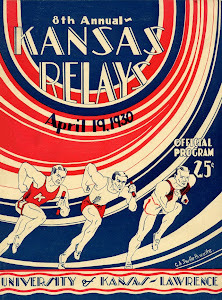 At the Berlin Olympics, Draper ran the third leg in the American 4x100 m relay team, which won the gold medal with a new world record of 39.8. During World War II, Draper served as a pilot on a twin-engine attack bomber A-20B 'Havoc' inThelepte, Tunisia. On January 4, 1943, Draper took off to fly to Fonduck, Tunisia to take part of thebattle of Kassarine Pass. Draper and his two crewmen never returned and his death date is usually given as February 1, 1943. He is buried in the North Africa American Cemetery and Memorialadministered by the American Battle Monuments Commission in Carthage, Tunisia. His gravestone shows January 4, 1943 as his date of death. James Duffy (born May 1, 1890, in County Sligo, Ireland – died April 23, 1915, outside Ypres,Belgium) was a distance runner from Canada, one of the world's best marathon runners at the beginning of the 20th century. 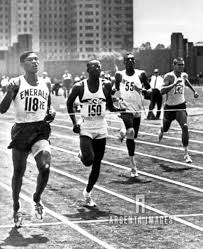 He participated in the 1912 Summer Olympics in Stockholm and was the winner of the 1914 Boston Marathon. 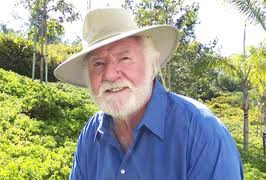 Born in Ireland, Duffy grew up in Edinburgh, Scotland after moving there with his family as a child. 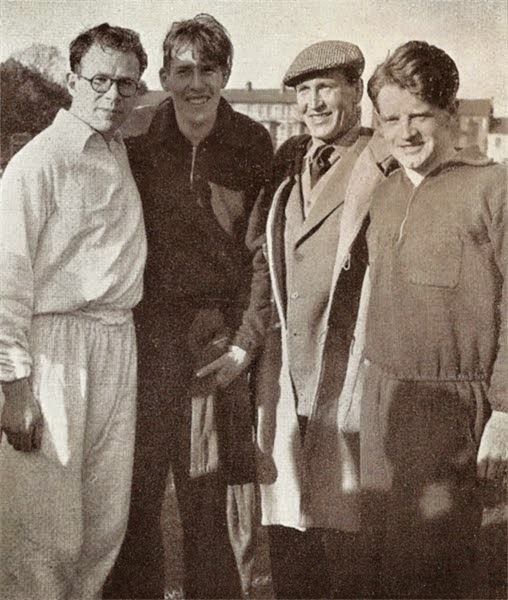 According to his own later account, Duffy participated in cross-country races in Scotland, winning many of them. In 1911 he emigrated to Canada, where he worked in Toronto as a tinsmith andstonecutter. 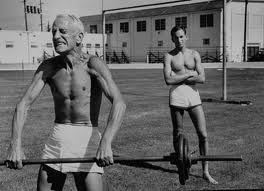 In his spare time he visited the Central YMCA, the director of which quickly recognized his talent. Representing the Central YMCA, Duffy came in second in the 1911 Ward Marathon, a twenty-mile event in Toronto. During the race Duffy stopped to argue with supporters of another runner. 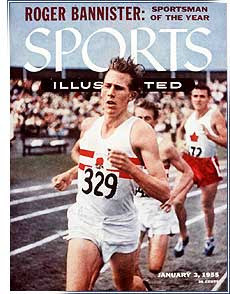 In May 1912, he ran the Spectator Marathon in Hamilton, Ontario, which served that year as the CanadianOlympic trial. The race, which was reduced to nineteen miles, was run in exceedingly hot and humid weather. Only eight of twenty-five starters finished the race. 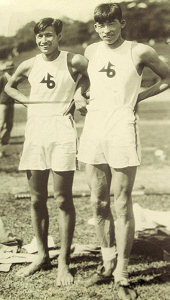 Duffy himself had overestimated his strength, but qualified for the Olympics by finishing in second place behind Harry Jensen of theUnited States, who passed him in the final mile and won by twenty seconds. 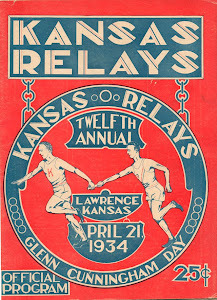 Representing the Eaton Athletic Club of Toronto, Duffy placed fifth in the marathon at the 1912 Summer Olympics in Stockholm, which also took place in very high temperatures, resulting in the death of Portuguese runner Francisco Lázaro. In October 1912 Duffy won both the Ward Marathon and the Hamilton Herald's race around Hamilton Bay, setting a new course record in the latter event. After the Hamilton Bay race Duffy accepted full-time coaching from athletic trainerTommy Thomson, who persuaded him to relocate to Hamilton, where he joined the Ramblers Club. 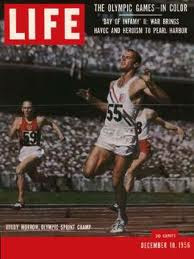 With Thomson as trainer, Duffy won seven consecutive marathons, including one in Yonkers, New York. On April 20, 1914, Duffy won the Boston Marathon in 2:25:01. His success had gotten around and he was so much the favorite that the Boston bookmakers would not take high bets on his victory. 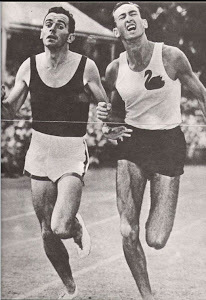 The race developed into a thriller, with fellow Canadian runner Édouard Fabre matching Duffy's pace throughout. Only in the final mile did Duffy gain a small lead, winning the race by fifteen seconds. Duffy's first request after his victory was for a cigarette, and after his post-race medical examination he asked for a bottle of beer. After the Boston Marathon Duffy turned professional, losing his first professional race to Édouard Fabre. Duffy enlisted in the Canadian Army at the outbreak of World War I. He joined the 91st Argyle Regiment and was subsequently transferred to the 16th Battalion of the Canadian Expeditionary Force. Duffy was killed in a charge against the Germans while serving with the 16th Battalion in the Second Battle of Ypres on April 23, 1915, eight days before his twenty-fifth birthday and four days after Édouard Fabre won the 1915 Boston Marathon. 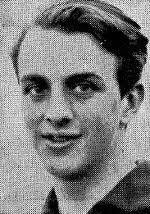 (6 May 1919 – 11 January 1945) was a Norwegian long jumper and resistance member during World War II. He had a successful athletics career before the war; holding the Nordic record in the event. He was killed less than four months before the end of the war, as he was surprised byWehrmacht forces following a sabotage mission, He was born in Trondheim as the son of Haakon Hansen and Swedish citizen Agnes Collin. 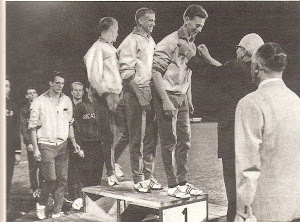 Representing the sports club SK Freidig, he had a successful career in the long jump; only nineteen years old he won the Norwegian championships. Jumping 7.39 metres, he was 25 centimetres ahead of runner-up Kaare Strøm. 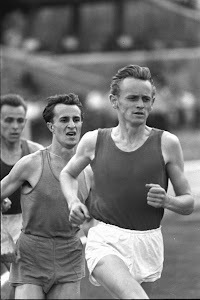 In 1939, Hansen won a silver medal behind Kaare Strøm. 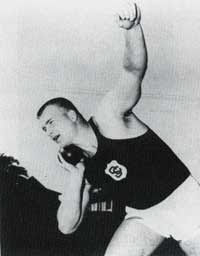 On 11 September 1939, Hansen established a new Norwegian record. 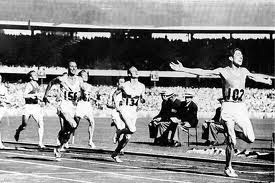 Jumping 7.54 metres at Bislett stadion, he broke the two-year old record of Otto Berg with two centimetres. This was also a Nordic record. His sporting career was cut short by World War II. As Norway was invaded by Germany in 1940, regular sports events and championships were discontinued. The 1940 Summer Olympics in Tokyo, Japan were also cancelled. 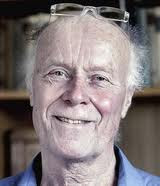 Hansen joined the Norwegian resistance movement in 1940. He had to flee the country, arriving in Sweden on 8 November 1941. He then escaped to England in 1942, where he became enrolled in the Norwegian Independent Company 1 (Norwegian: Kompani Linge), a part of the British Special Operations Executive. He conducted several sabotage missions in Norway, including one against the rail road Røros Line in January 1945. Saboteurs were active in Central Norway in late 1944 and early 1945; with sabotages towards theNordland Line, the Dovre Line and the Rauma Line in addition to the Røros Line. This was of high strategic importance, as German forces were retreating from Northern Norway, using the rail roads for troop transport. Although the war tide was going against Germany at the time, there were rumours that they would not leave Norway without an Allied invasion, thus, pockets of Norwegian forces were prepared for warfare. On 10 January 1945, German forces reacted, and began searching for militants under the codename Aktion Hengst. They had only vague knowledge on the whereabouts of Norwegian militants, but on 11 January they found a lone skier in Singsås. They questioned him, and then released him, only to follow his tracks. The tracks led the German task force to a cabin at Forsetvollan in Budal.Nils Uhlin Hansen stayed in the cabin at the time, and when shooting ensued, Hansen was killed. Two days after his death Norwegian saboteurs carried out the drastic Jørstad River bridge sabotage. 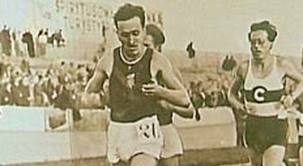 Rudi Harbig was the great rival of Mario Lanzi over 800 metres in the 1930s. 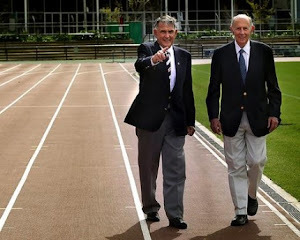 They met at an International in Milano on 15 July 1939, with Harbig winning in the stunning world record time of 1:46.6, which shattered the previous record of 1:48.4, Lanzi running second. Harbig's record would not be broken for 19 years. 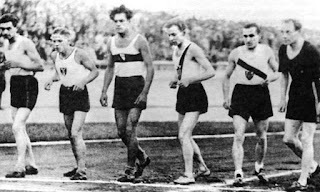 In 1938, Harbig won the European Championships over 800 metres, with the non-Olympian Jacques Lévèque (FRA) second and Lanzi third, and took a second gold with the 4×400 metres relay team (with Hermann Blazejezak and the non-Olympians Manfred Bues and Erich Linnhoff). Harbig was first noticed by German sports authorities in 1934 when he won the Tag des Unbekannten Sportsmannes, and they then promoted his career. Although he was never interested in politics he reluctantly joined the SA in 1937, and the Nazis exploited his sport career as a model for their propaganda. Killed in action in 1944, he became a sports legend in both parts of Germany after World War II. In 1955 his wife, Gerda Heinrich, published Unvergessener Rudolf-Harbig. Ein Lebensbild des Weltrekordläufers in East Germany and the Dresden stadium was named after him. In West Germany the Rudolf-Harbig-Gedächtnispreis was introduced for German track & field athletes, and in 2008 he was inducted into the German Sports Hall of Fame. 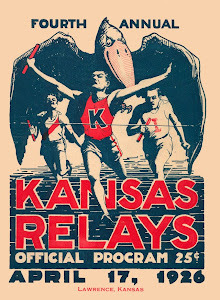 Personal Bests: 400 – 46.0 (1939); 800 – 1:46.6 (1939). 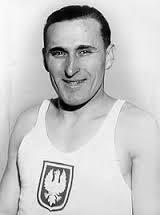 Janusz Kusocinski 33 Poland Olympic 10,000 meters gold medalist, Los Angeles 1932. Executed by Gestapo in Poland, 1940. 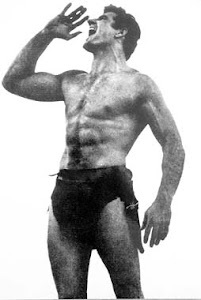 Janusz Kusocinski was a national hero in Poland after his victory at Los Angeles. His untimely death while participating in the Polish resistance made him an even greater hero. Following is what Wikipedia says about him. 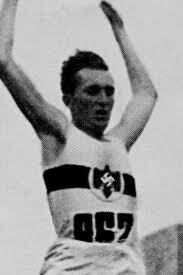 Janusz Tadeusz Kusociński (15 January 1907 in Warsaw – 21 June 1940 in Palmiry) was a Polish athlete, winner in the 10000 m event at the 1932 Summer Olympics. 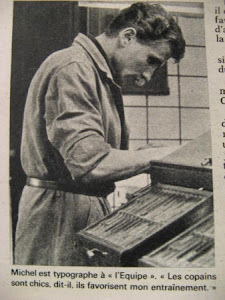 Born in Warsaw into the family of a railroad worker, Janusz Kusociński, or Kusy as he was nicknamed, playedfootball for various Warsaw clubs as a schoolboy. He took up athletics in 1928 after joining the sport club "Sarmata". His coach there was the famous Estonian, decathlete Aleksander Klumberg. 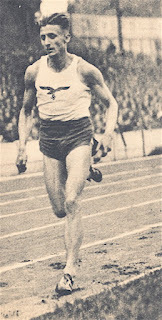 In his first competition at the Polish National Championships, Kusociński surprisingly won the 5000 m and cross country titles. He missed the next season, because he was called to duty by the Polish army, but he came back stronger than ever. 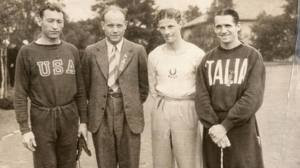 He won the Polish Championship titles in the 1500 m and the 5000 m, in cross country in 1930 and 1931, and in the 800 m in 1932. In 1932 Kusociński was working as a gardener in a park in Warsaw. 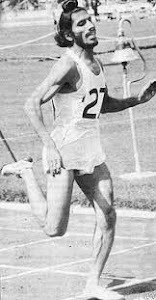 Just about a month before the Los Angeles Olympics, Kusociński ran a newworld record in the 3000 m (8:18.8) and later that year, he set a new unofficial world record in running 4 miles in a time of 19:02.6. At the Olympics, Kusociński won a close battle against the Finns Volmari Iso-Hollo and Lasse Virtanen in the 10 000 m, with a world seasons best time of 30:11.4. 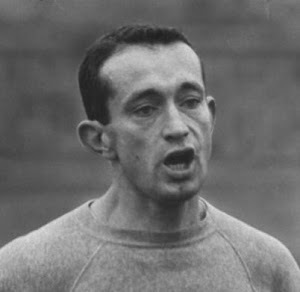 After finishing second in the first European Championships at Turin in the 5000 m, Kusociński decided to retire from athletics, but made a comeback in 1939 by winning the 10 000 m at the Polish National Championships. 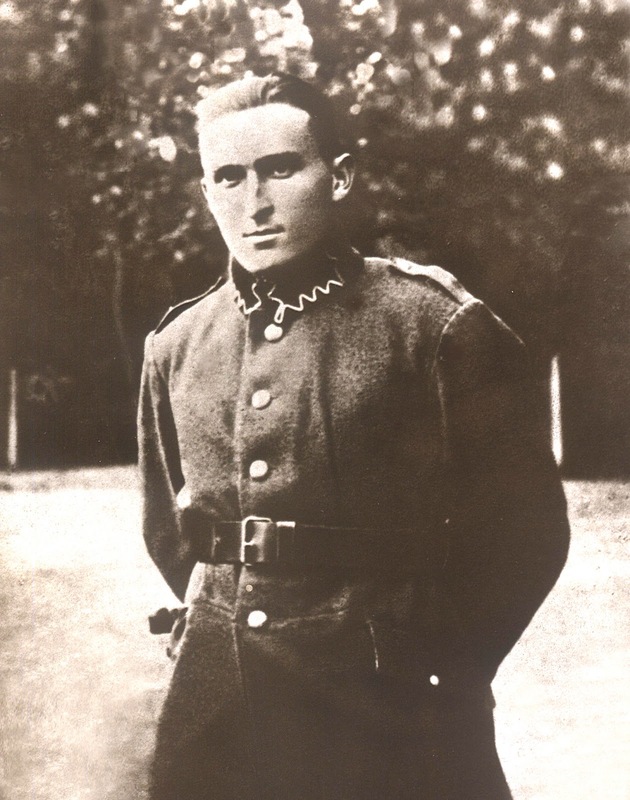 Kusociński volunteered for the Polish army after Poland was attacked by the Germans and was wounded twice. During the German occupation he worked as a waiter, but was secretly a member of the Polish resistance. 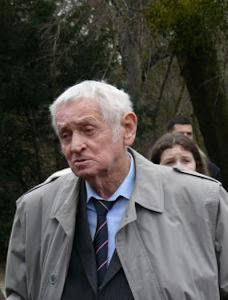 Janusz Kusociński was arrested by the Gestapo on 26 March 1940 during theAB Action and imprisoned in Mokotów prison. He was executed three months later in Palmiry, near Warsaw. An annual athletics competition, the Kusociński Memorial, is held in Poland in his honour. It was in its 55th edition in 2009. 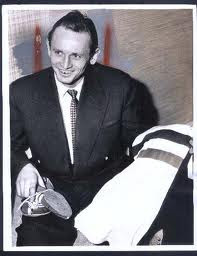 On 12 August 2009, he was posthumously awarded the Commander's Cross with Star of theOrder of Polonia Restituta, "for outstanding contribution to the independence of the Polish Republic, for sporting achievements in the field of athletics". This is a very moving youtube video portraying Kusocinski's life. No dialogue, just pictures and music. “Miguel White (1909 – 1942): Olympic 400m Hurdles Bronze Medalist” by Joboy Quintos Nothing here indicates that Miguel White, died fighting for his country, but if he was in the Phillippines in 1942, he probably did. We'll give him a pass, unless someone can prove differently. ed. 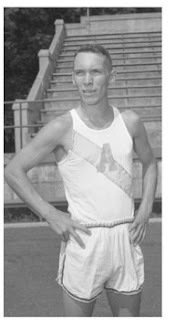 (May 12, 1911, Neu-Isenburg, Grand Duchy of Hesse – July 19, 1941, Gorky) was a German athlete who competed mainly in the long jump and 100 metres. Leichum was born in Hesse. 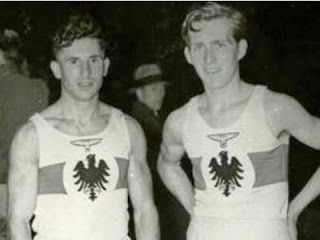 He competed for Germany in the 1936 Summer Olympics held in Berlin, Germany in the 4 x 100 metre relay where he won the bronze medal with his team mates Erich Borchmeyer, Erwin Gillmeister and Gerd Hornberger. He was also 4th in the long jump. 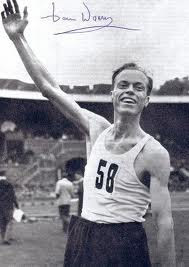 He was European Champion in the long jump both in 1934 and 1938. Leichum was killed near Gorky during fighting on the Eastern Front of World War II. This year is the 100th anniversary of Luz Long's birth. Carl Ludwig "Lu(t)z" Long (27 April 1913 in Leipzig – 14 July 1943 in Biscari - Santo Pietro) was a German Olympic long-jumper, notable for winning Silver in the event at the 1936 Summer Olympics in Berlin and for reputedly giving advice to his competitor, Jesse Owens, who went on to win the gold medal for the broad jump (as the long jump was then termed) as a result of Long's advice. 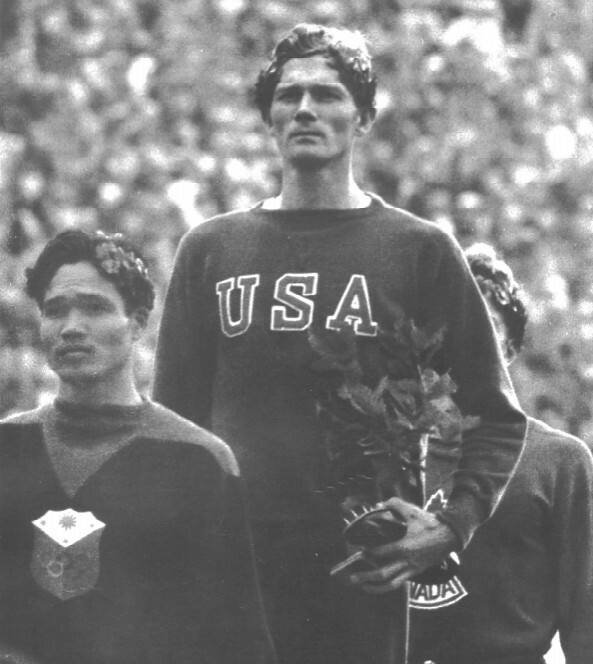 Luz Long won the German Long Jump Championship 6 times in 1933,1934,1936,1937,1938 and 1939. 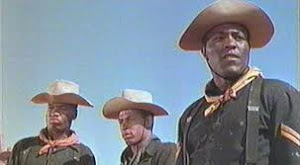 Long was killed in action serving in the German army during World War II. 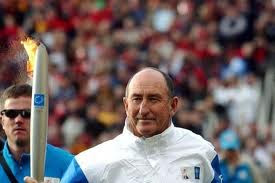 For his actions in the spirit of sportsmanship, he was posthumously awarded the Pierre de Coubertin medal. Long studied law at the University of Leipzig, where in 1936 he joined the Leipziger Sport Club. After graduating, he practiced as a lawyer in Hamburg, while continuing his interest in sport. 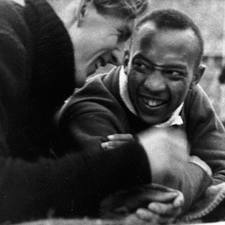 We always thought there was one foto of Jesse Owens and Luz Long, but have found six of them taken about the same time indicating this was a foto op most likely of the Western press, less likely of the German press. ed. 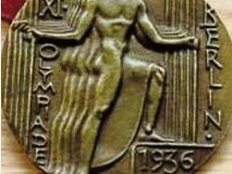 1936 Olympic Games The 21 year old, 1.84m tall blond Long had finished third in the 1934 European Championships in Athletics with 7.25m. 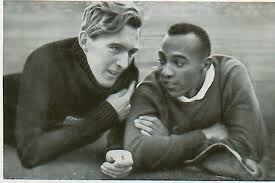 By the summer of 1936, Long held the European record in the long jump and was eager to compete for the first time against Jesse Owens, the American world-record holder. 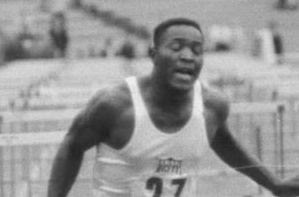 The long jump on August 4 was Long's first event against Owens, and Long met his expectations by setting an Olympic record during the preliminary round. In contrast, Owens fouled on his first two jumps. Knowing that he needed to reach at least 7.15m (about 23 feet 3 inches) on his third jump in order to advance to the finals in the afternoon, Owens sat on the field, dejected. 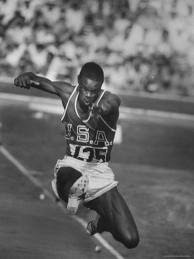 Speaking to Long's son, Owens said in 1964 that Long went to him and told him to try and jump from a spot several inches behind the take-off board. 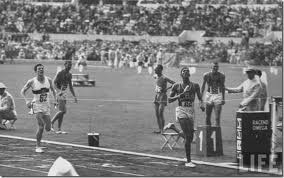 Since Owens routinely made distances far greater than the minimum of 7.15m required to advance, Long surmised that Owens would be able to advance safely to the next round without risking a foul trying to push for a greater distance. On his third qualifying jump, Owens was calm and jumped with at least four inches (10 centimeters) to spare, easily qualifying for the finals. 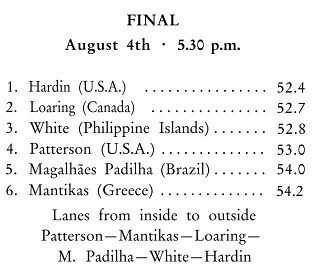 In the finals competition later that day, the jumpers exceeded the old Olympic record five times. Owens went on to win the gold medal in the long jump with 8.06m while besting Long's own record of 7.87m. 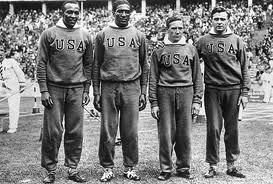 Long won the silver medal for second place and was the first to congratulate Owens: they posed together for photos and walked arm-in-arm to the dressing room. 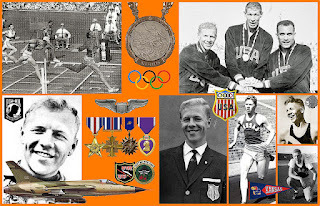 Owens said, "It took a lot of courage for him to befriend me in front of Hitler... You can melt down all the medals and cups I have and they wouldn't be a plating on the twenty-four karat friendship that I felt for Luz Long at that moment". 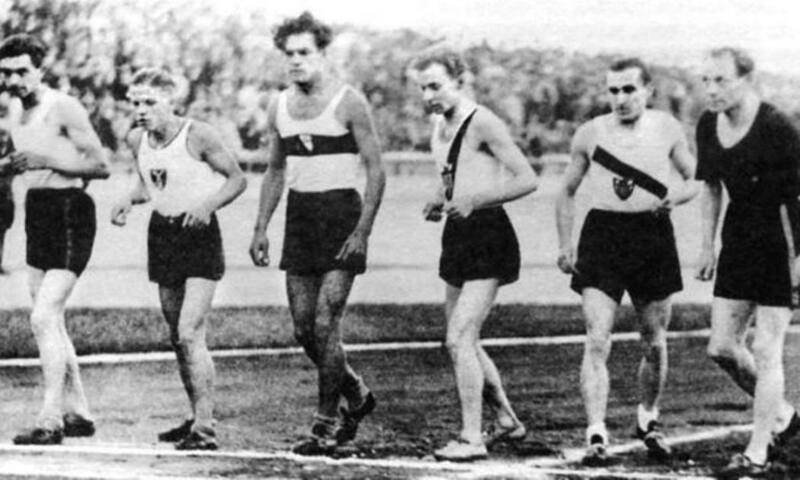 Long's competition with Owens is recorded in Leni Riefenstahl's documentary Olympia - Fest der Völker. Two days later, Long finished 10th in the triple jump. 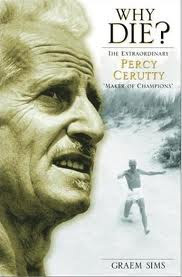 He went on to finish third in the 1938 European Championships in Athletics long jump with 7.56m. Long served in the German army during World War II, having the rank of Obergefreiter. During the Allied invasion of Sicily, Long was killed in action on 14 July 1943. He was buried in the war cemetery of Motta Sant'Anastasia, in Sicily. Roads near sports facilities in his home town Leipzig,and in the Munich Olympia Park of 1972 are named after him. His medal, photos, and documents were donated to the Sportmuseum Leipzig. 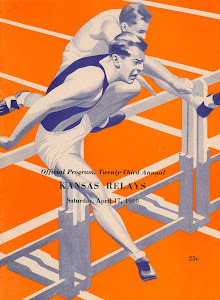 In the men's pole vault event at the 1936 Berlin Olympic, five athletes reached the final competition. 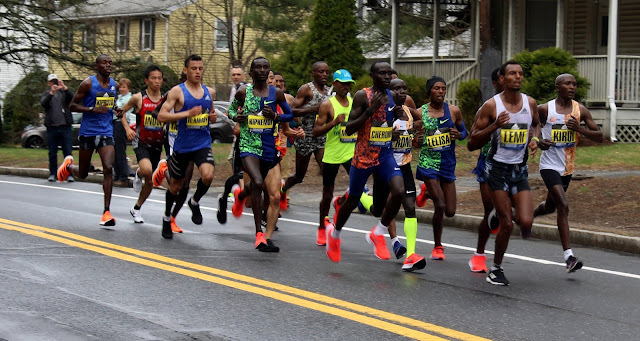 Among them were Earle Meadows of the United States and two Japanese athletes, Shuhei Nishida from Waseda University and Sueo Oe from Keio University. In the end, Meadows took first place by vaulting 4 meters and 35 centimeters. Nishida and Oe, on the other hand, got in the consolation final and competed fiercely over five hours under night lighting. It was already 9 p.m., and the judges unilaterally concluded the competition, telling the Japanese teams to determine among themselves who would be given second place. Finally, it was settled that Nishida won the second place by vaulting 4 meters and 25 centimeters in his first try and Oe won the third place by vaulting the same height as Nishida in his second try. 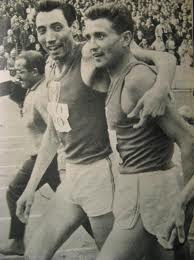 After coming back to Japan, both Nishida and Oe cut their Olympic medals in two, and exchanged one piece with each other so they could stick them with the other pieces they originally had. Later the medal came to be called “Medal of Friendship” and the two men's story has been handed down to the present. Sueo Oe subsequently joined the Japanese Imperial Army and died during the battle of Wake Island. The medal was donated to Waseda University by kindness and support of Mr. Nishida's bereaved family in June, 2005. Copyright (C) 2007 Student Affairs Division, WASEDA University. All rights reserved. First drafted 2007 October 25. A battalion commander of a Police Security Unit under the Waffen SS in Belarus, Woellke was killed by Russian partisans in an area where the SS subsequently executed 149 civilians in retaliation. The village site Kahtyn has become a national shrine to the atrocities suffered at the hands of the occupiers. Woellke is the only one of this list who appears to have died under less than honorable conditions.